Maciej Obara released in 2017 an enthusiastically received album "Unloved" under the prestigious German label ECM, run in Munich by Manfred Eicher. 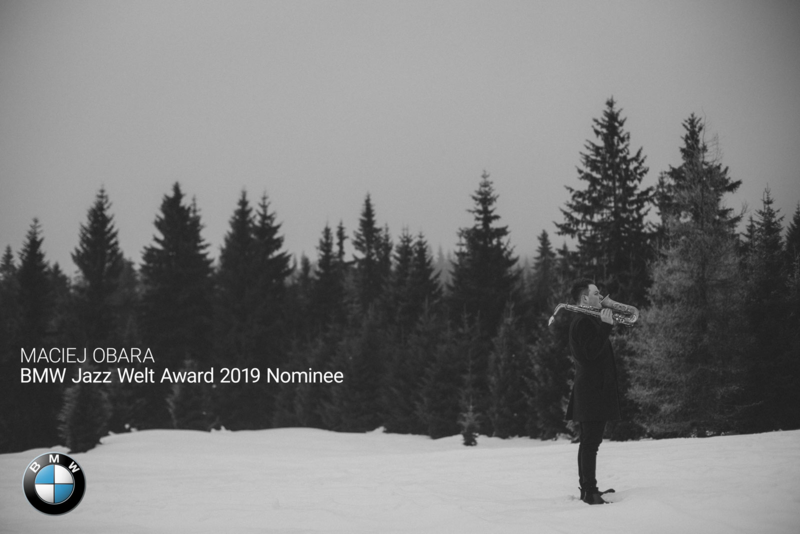 Now the saxophonist has been nominated for the BMW Welt Jazz Award 2019 and will perform in a special concert in Munich this month. The competition aims to popularize jazz music from around the world. In total, six artists from Poland, Estonia, Germany, Norway, France and Great Britain were nominated. The formula of the competition includes Sunday morning concerts of the nominated bands at the headquarters of the car manufacturer, which is BMW Welt Double Cone in Munich. Maciej Obara Quartet will perform at the opening of the cycle on January 27, 2019 at 11:00. Concerts are free of charge, but the number of seats in the auditorium is limited. Concerts will also be listened by a 5 members of the jury, which will select the winner of the competition. To the final concert on May 4, 2019 two bands will be selected and compete for the prizes. In addition to the statuette specially designed by BMW Design, the winner will receive 10,000 Euros and the second prize winner will receive 5,000 Euros. In addition, an audience prize will be awarded, part of which will be a special concert at the prestigious Schloss Elmau resort in the Bavarian Alps. Good luck to Maciej Obara and his quartet!